Scientists believe there is evidence of another planet. Researchers believe there is evidence of another unseen planet in a distant swath of the solar system. 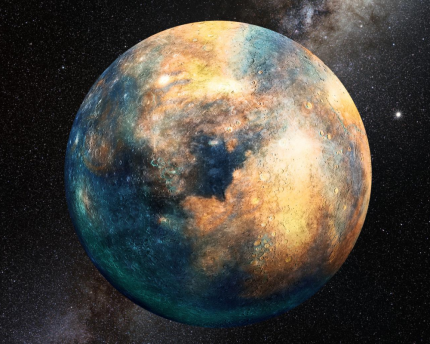 Scientists are making these assertions based not on spotting the planet in the sky, but on studying the movement of neighboring objects in the Kuiper Belt, a vast area of the solar system beyond Neptune. While a similar announcement was made last year about a theoretical planet nine, researchers say this is different. Planet nine is thought to have a mass about 10 times that of Earth. This new report involves the possibility of a separate, smaller planet with a mass somewhere between that of Mars and Earth, according to a news release from the University of Arizona. The researchers, Kat Volk, a postdoctoral fellow, and Renu Malhotra, professor of planetary sciences at the University of Arizona's Lunar and Planetary Laboratory, analyzed the tilt angles of the orbital planes of more than 600 objects in the Kuiper Belt, focusing on the change or “wobble” in orientation of various objects. They calculated that an unknown planet would be roughly 60 astronomical units from the sun. (An astronomical unit is defined by NASA as “the average distance between the Earth and the sun, about 150 billion meters.”) Planet nine is believed to be much farther out--500 to 700 astronomical unites from the sun. The research is to be published in the Astronomical Journal. Scientists find evidence of "Planet Nine"